Bucks Thames Valley LEP (BTVLEP) will host their 12th annual National Apprenticeship Week (NAW) on the 4th-8th March 2019 and they would like you to be a part of their celebrations in Buckinghamshire. 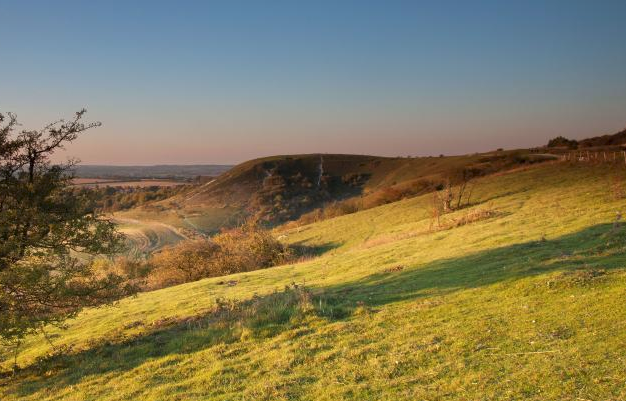 Chilterns Area of Outstanding Natural Beauty (AONB) have been reviewing the Chilterns Management Plan, a statutory document which describes what is needed to care for the Chilterns AONB. They have now reached the second consultation stage and welcome your views on the draft Plan which covers a range of issues from biodiversity and wildlife conservation to looking after the special character of the Chilterns villages, managing access and recreation and helping local tourism. 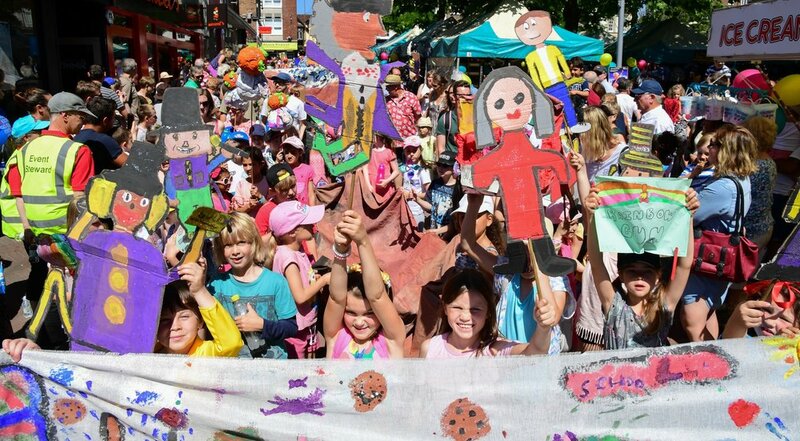 If you do not have time to read the entire document, it would be helpful if you could let AONB know if you agree with their Vision and General Policies on pages 14-18 of the Plan. To download a copy of the Plan and for more information please visit: https://www.chilternsaonb.org/management-plan-review. The consultation closes on the 31st December 2018. David visited University Campus Aylesbury Vale last week to talk about what the government is doing to encourage more businesses to take on apprentices. The event which was organised by the Federation of Small Businesses (FSB), Buckinghamshire College Group, and Buckinghamshire Business First focused on providing local small businesses information on how to recruit, retain and make best use of apprentices. David spoke about the skills agenda, the government’s industrial strategy and the current apprenticeship opportunities for small and medium sized businesses. He encouraged audience members, which comprised of over 15 companies, to take on apprentices and thanked those who already have. 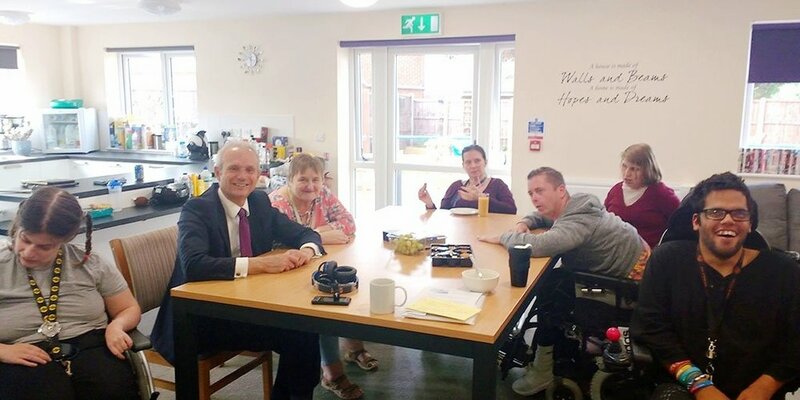 David met with See Ability residents and staff last week to better understand and discuss some of the challenges facing residents with disabilities. Topics discussed included pavement parking, wheelie bins and dangerous pavements that are preventing residents getting around independently and safely. David also welcomed residents and staff to visit him at the House of Commons. "I share the view of both the County and District Councils that the present two tier system should be replaced by unitary local government. Money in local government is and will continue to be tight. It should be used to spend on front-line public services rather than on supporting five different hierarchies of officials, personnel systems, maintenance contracts and so on. I have also come increasingly to the view that the current distribution of responsibilities is confusing. For example, the District Council is responsible for collecting our bins, but the County Council for managing and disposing of the waste. The District Council takes planning decisions about new housing, but the County Council has to deal with the consequences for roads, schools and social services. "My approach to this debate has been to try and start with an open mind and judge which of the unitary options, one or two authorities, will best deliver improved public services at least cost to local residents. "Having studied both proposals, and while I respect the case that the District Councils have made for having two authorities, my own preference is for a single unitary Council. "There were a number of reasons that led me to this view. "First, the saving to local residents would be significantly greater with one authority rather than two: £18.2 million a year compared with £10.3 million. That's nearly £8 million extra each year to spend on local services or to return to local residents through a lower rate of Council Tax. "Second, I discussed the proposals with the local NHS organisations who were concerned that social services for children, elderly people and people with disabilities, currently the responsibility of Buckinghamshire County Council, should not be split up as a consequence of local government reform. Indeed, the two NHS Clinical Commissioning Groups, the purse holders for local NHS spending, that cover North and South Bucks respectively have decided to federate in order to work more effectively on a County-wide basis. "Third, local business, especially as represented by Bucks Business First and the Bucks Thames Valley Local Enterprise Partnership, argued strongly for a single unitary council. "A lot of work has been done by both County and District Councils to support the different cases that they have made to the Secretary of State. He made his "minded to" decision having taken account of detailed submissions by both the County and the Districts as well as responses by other organisations and individuals. Both the County and District Councils are now entitled to make their case again to Mr Javid ahead of his final decision. However, I hope that this will be done without spending large amounts of taxpayers' money and I regret the decision by some Councils to spend residents' money on door to door leaflets." "Two events last week reminded me of the work that we still need to do to break down barriers between people of different ethnic backgrounds and religious faiths - and also why we have cause for hope. "The Muslim News is this country's biggest Muslim newspaper. 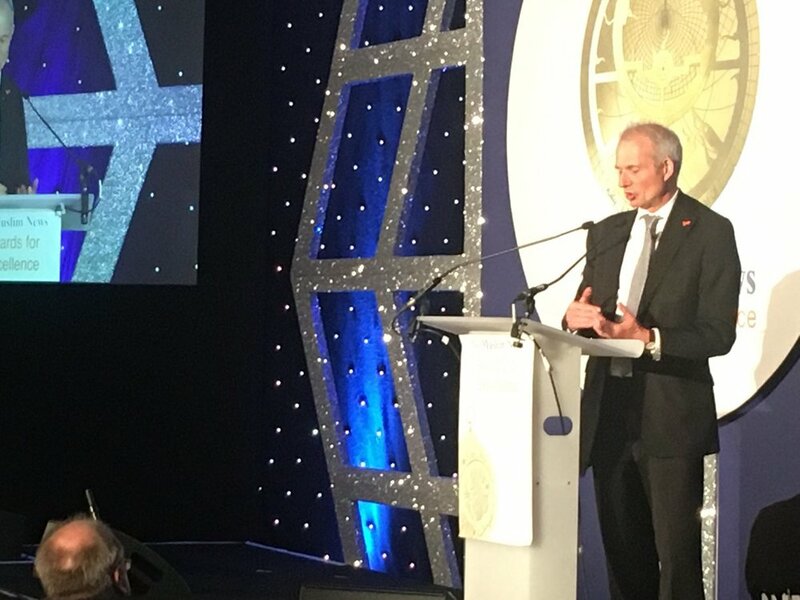 I was asked to speak at its annual awards ceremony in London. "I know from talking to Muslim constituents here in Bucks that they feel hurt and offended that most reporting about Islam in Britain focuses on extremism and terrorism. No reasonable person denies the importance of those issues but the picture needs to be a balanced one. "There is no contradiction between being a loyal and active citizen of the United Kingdom and being a devout Muslim. Both locally and nationally we are seeing more and more British Muslims placing a leading role in the mainstream of civic, political, professional and business life. "Look at the role models: from Sir Mo Farah setting yet another British record in the London Marathon to Mishal Hussein subjecting political leaders to a grilling on the Radio 4 Today programme. "But for me the role model of the last twelve months was Mohammed Mahmoud, Imam of the Finsbury Park mosque. When a man set on mass murder drove his van into a crowd of worshippers, Mohammed stretched out his arms to protect and shelter the attacker. His action stopped anger from generating more violence and ensured that the man responsible was judged by law, tried and sentenced to life. That Imam represented the best of Islam and the best of British. "The second event was the memorial service to mark 25 years since the murder of the black teenager Stephen Lawrence. It is a cause of shame that his family had to fight for so long o get justice for their son. And we cannot be content with a situation in which so many people in Britain's black communities feel that the criminal justice system is unfair to them. "But what shone through at the service was how the Lawrence family have built something positive out of brutal tragedy. We heard from three young black people how the Stephen Lawrence Foundation had given them new opportunities for education and rewarding careers.And the words from Stephen’s mother and brother were of the need to keep working and fighting for justice and reconciliation. "A good lesson for us all." David thought you would be interested to see a letter that he recently received from the Secretary of State for Housing, Communities & Local Government in regard to further funding for Buckinghamshire County Council.